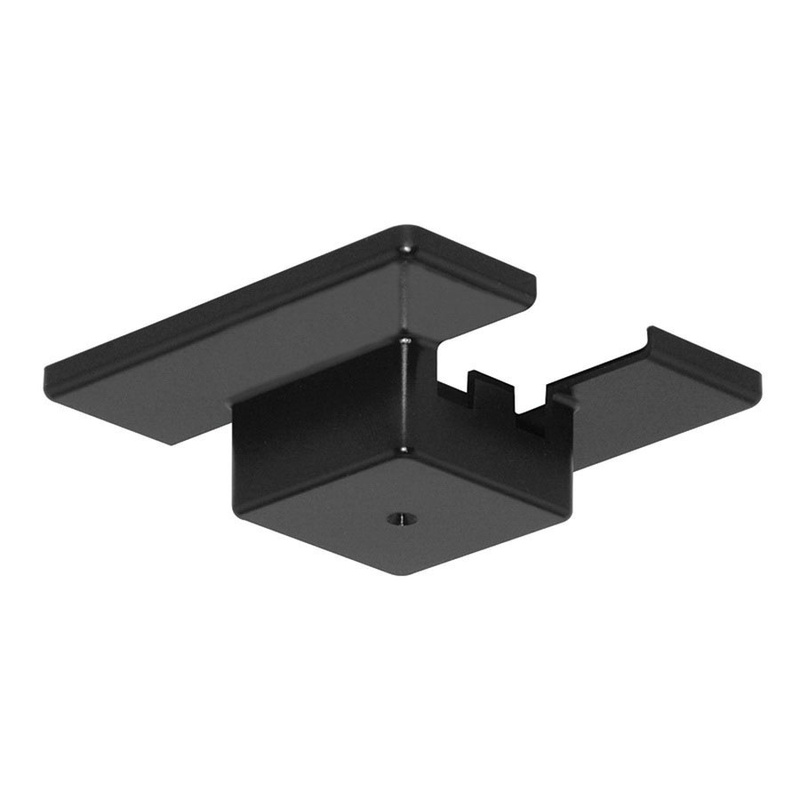 Juno Lighting Trac-Master® Collection Floating electrical feed in black finish, has molded polycarbonate construction for impact strength and scratch resistance. It includes floating connector, outlet box cover and extra trac dead end. This feed is compatible with Trac-Master® T series one circuit trac system. The 4-5/8-Inch long feed has surface/pendant mounting. It is suitable for indoor use. Floating electrical feed meets UL and CSA standards.